Jerry Weintraub may not be a name you recognize, but chances are good, that you have shelled out a few bucks to watch one of the movies the late producer has brought to the world. Did you ever see Ocean's 11, 12 or 13? Okay, so maybe if you watched Ocean's 12, you would like your money back, but he also brought us classics like the Karate Kid movies, Vegas Vacation, My Stepmother is An Alien, Oh God!, and countless music specials for television. 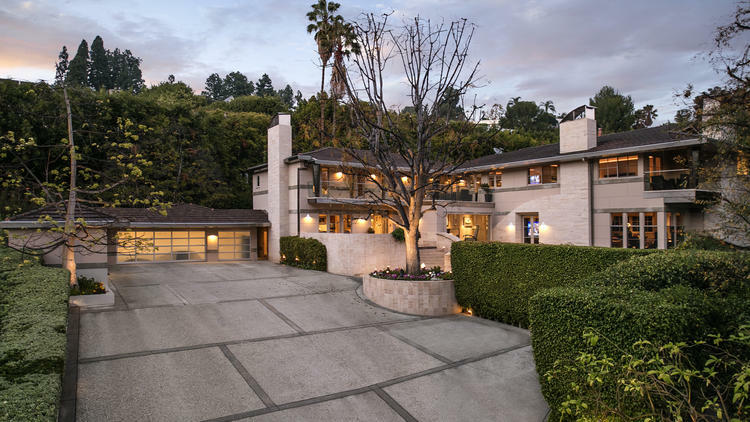 So if you did see any of the aforementioned, you contributed in a small way to the purchase of two mansions his estate has put up for sale – a beauty in Beverly Hills for $25 million and another in Palm Desert for $16 million. The Palm Desert mansion (which was purchased in 2002 for $2.25 million) is a sight to see with a rather unique architectural design and 9,152 square feet of luxurious space ready for its next owner to host an incredible party. Guests can enjoy their time indoors, or in one of two pools on the perimeter of the property. The design makes heavy use of glass windows to make sure the view can be enjoyed by one and all whenever they would like. 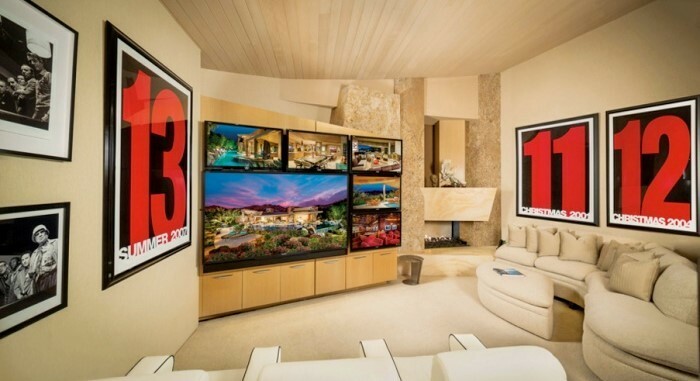 Being the former home of a former movie producer, you know the media room is going to be pretty awesome. Want to go to sleep? Want to go for a swim? You can do both from the master bedroom which is just one of six bedrooms in the home. 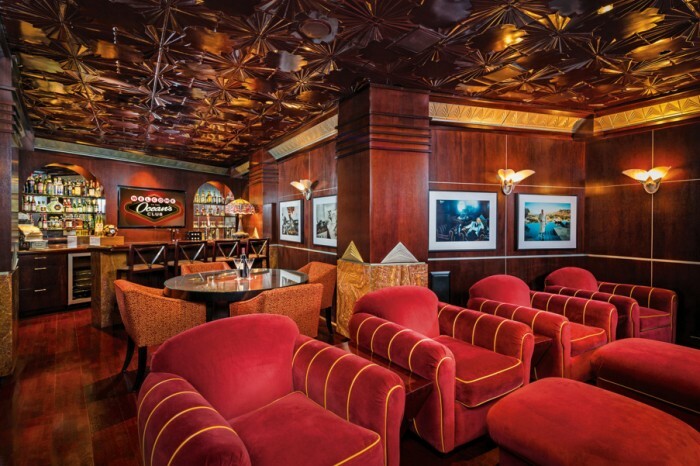 The guys will want to watch the game from your place every Sunday, since the house comes with its own pub, patterned from Claridge's Bar in London. The master bath has room for plenty, but with 7.5 bathrooms in the home, the owner will never need to share with his guest. He or she can keep their throne room all to themselves. If you have guests that you like (or don't like), but feel like you can't be around them the whole time they visit, you are in luck. The property comes with a guest house, that, while much smaller, is still pretty darn nice. 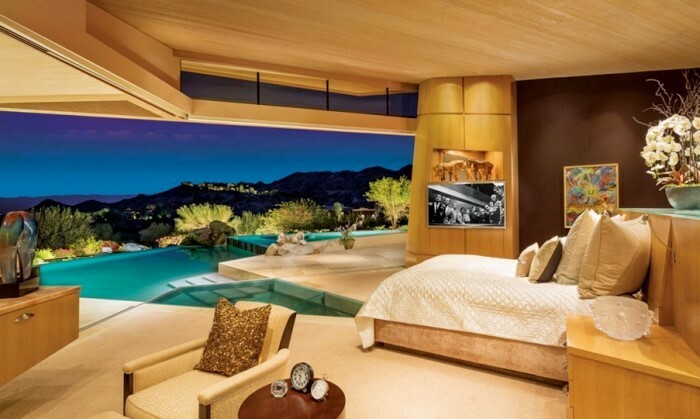 However, with a home like this, you may only be able to ditch your guest when it is time to go to bed. 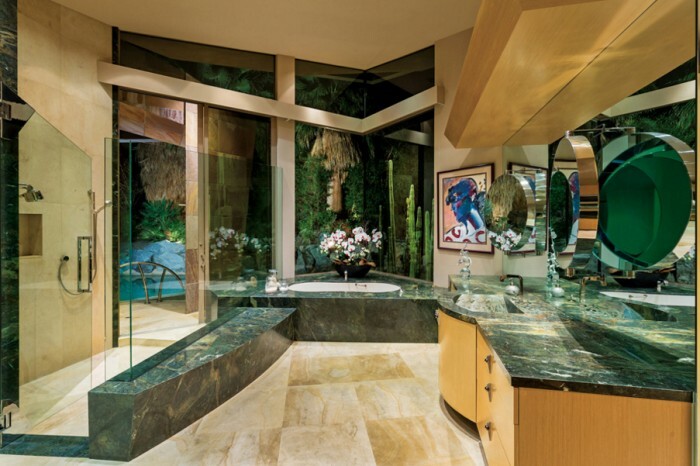 Weintraub spared no expense in making the home the picture of luxury and opulence. It even comes with a golf cart garage attached to the master bedroom. You know, in case you feel like giving the back nine a try first thing in the morning! 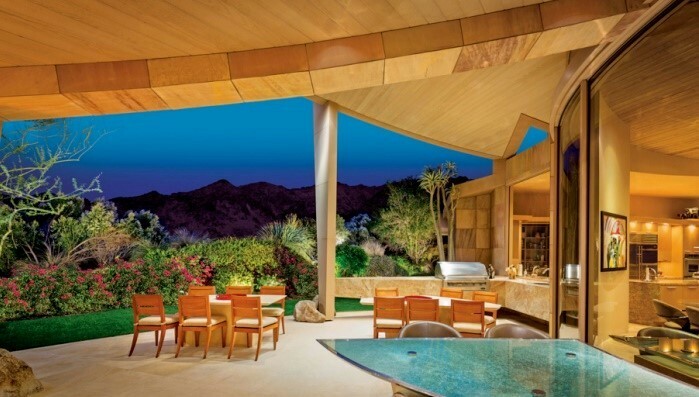 If Palm Desert is not your cup of tea and you have a few additional million (like $25 million), then maybe you'd prefer his Beverly Hills mansion, which he purchased back in 1974, for just $165,000. It is a little smaller, at 7,300 square feet, but it comes complete with all the amenities you would expect a multi-million home to have (a lighted tennis court, a swimming pool, walls of glass, a media room with a wet bar, a wine cellar and an elevator).